Thoughts of the Maldives often brings to mind gorgeous white sand, over-water bungalows, and sipping tropical cocktails in a hammock. And almost all of those things would be right. 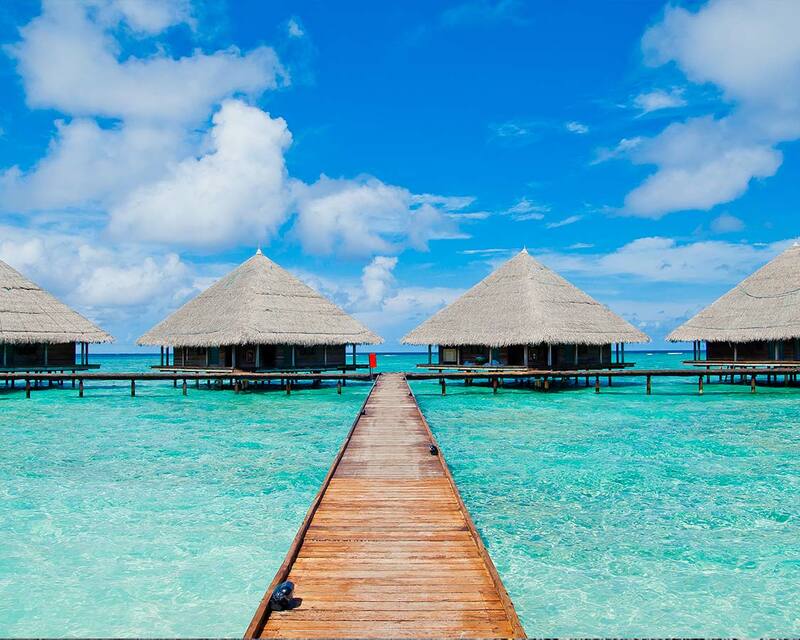 The Maldives is a beautiful string of atolls (extinct volcanic islands) in the Indian Ocean, and they offer one of the most beautiful island experiences in the world. But if you’re trying to plan a trip to the Maldives, it’s important to know what makes Maldives unique from almost every country in the world. A Maldives vacation is among the most popular romantic getaways around the world. Think perfect atolls wrapped in a ring around the crest of an extinct underwater super volcano. This unique landscape has given the Maldives some of the most beautiful, clear blue water in the world. And for those who love to spend time on the beach, the inward sides of the islands have incredibly calm water. And these waters make for some of the best beaches in the world. But all that island perfection comes at a price. The Maldives is not often considered a budget destination. While flights to the Maldives don’t seem too out of touch with the norm, many of the expenses in the Maldives begin once you land. Because of the size and structure of the Maldives, most of the islands are small and only have enough room for one or two resorts. However, due to increased competitions, there are ways to experience the Maldives on a budget if you try. Because of this layout, it’s important to know the best resorts for your Maldives holiday. Places that will limit the additional costs that could haunt you when you receive the bill. One of the big sticker shocks is often the transit from the airport to the island that you are staying on. 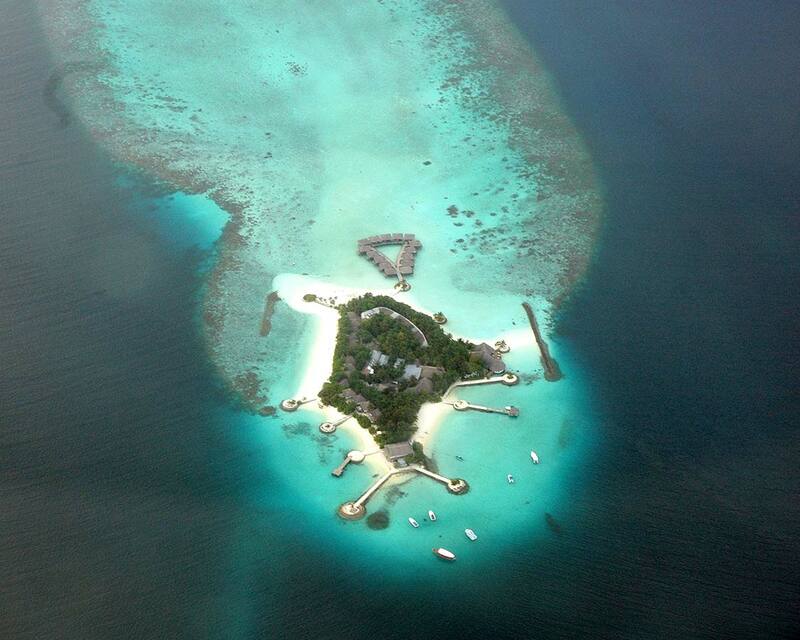 The prices for these Maldives island transfers can often make the flight costs seem small. The Maldives experiences two seasons. The dry season in the Maldives runs from November to April. The wet season is from May to October. High Season is often considered the best time to visit the Maldives. The Maldives high season is between December and March, but anytime season is fantastic for Maldives travel. Temperatures in the Maldives remain relatively consistent year-round between 23°-31° C (73.4°-97.8° F). Booking your Maldives vacation during the wet season offers the best travel deals. While booking a Maldives holiday during the high season is the most expensive. How Long Do You Need for Maldives Holidays? 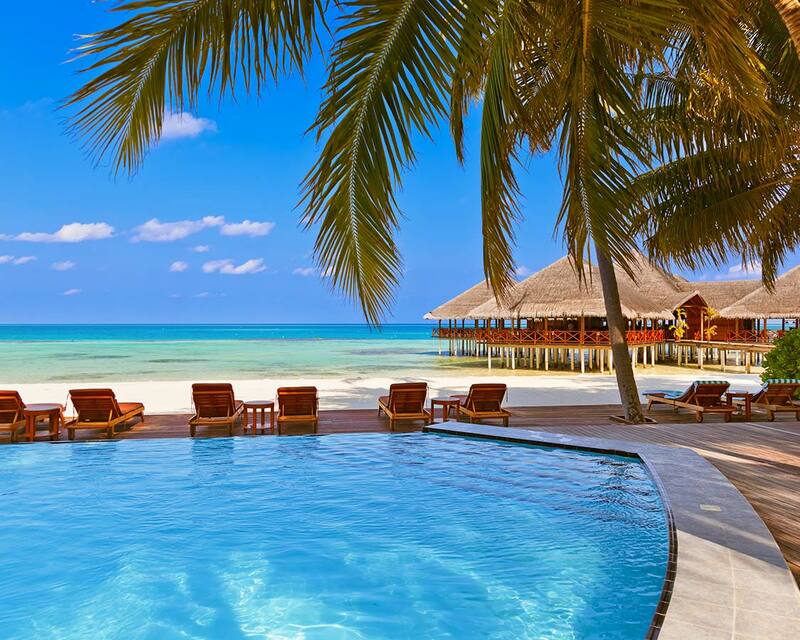 The Maldives is a true paradise. However, getting between islands in the Maldives can be difficult and expensive. Because of this, most visitors to the Maldives stay only on the island on which they are staying. Depending on your travel style, anywhere from three days to a week or two is often considered the ideal length of a Maldives holiday. It’s best to look at the activities that you want to partake in and schedule accordingly. If hanging on a beautiful beach for days is your thing, it’s perfect. But if you get itchy feet, aim for a shorter stay. Original photo by Steve AM. Used under Creative Commons license. Flights to the Maldives arrive in the capital, Male. You can greatly reduce the cost of a trip to the Maldives by arriving directly from a nearby country in Asia such as Sri Lanka. But the journey for most visitors to the Maldives starts upon their arrival in Male. 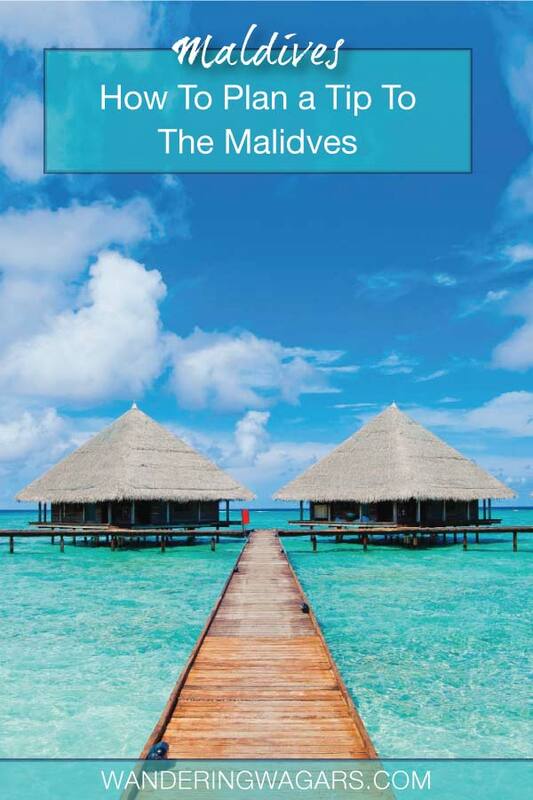 Most resorts are scattered among the Maldivian islands. The availability of transport to the individual islands depends upon the destination. The most common forms of inter-island transport in the Maldives are domestic flight, seaplane, or speedboat. Most resorts only have a single option for their destinations. However, each resort should be able to aid in booking your Maldives transport. The cost of inter-island transport in the Maldives is often over and above the price of the accommodation. The Maldives is a popular destination for snorkeling and SCUBA diving. Some of the destinations for snorkeling in the Maldives offer incredible house reefs. 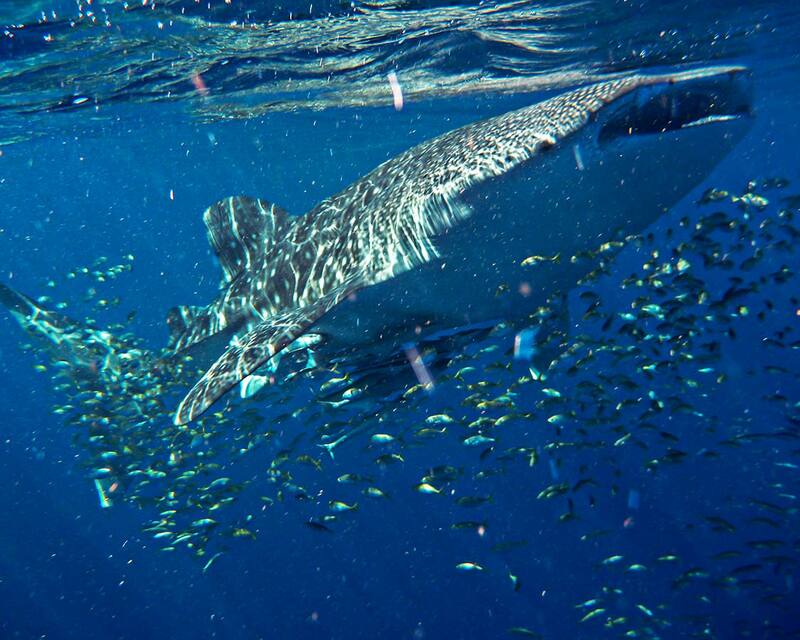 It is also possible to snorkel with Whale Sharks at South Ari Atoll and SCUBA dive among massive Manta Ray, an unforgettable experience that we had in while on the Big Island of Hawaii. You can read more about what to do in the Maldives here. A visit to Male offers a glimpse into the everyday life of local Maldivians. From the city core to the coastal beaches, discover life in one of the most densely packed regions on the planet. Sunsets are something that never gets old. And one of the best ways to experience the sunset is on a sunset cruise like the one we took in Boracay, Philippines. The best way to see dolphins and other marine life is in the wild. And the Maldives offers amazing opportunities to experience these playful mammals doing what they do best in some of the most beautiful water in the world. The dolphin viewing in the Maldives even gives our Costa Rica experience a run for its money. While the Maldives might be a bit difficult (and expensive) to get around, there are still island hopping tours available for those who want to check out the various islands and resorts throughout the country. These can usually be booked directly through the hotel or resort. With nothing but ocean and islands as far as the eye can see, the Maldives offers some of the most amazing fishing for anglers who are visiting the country. 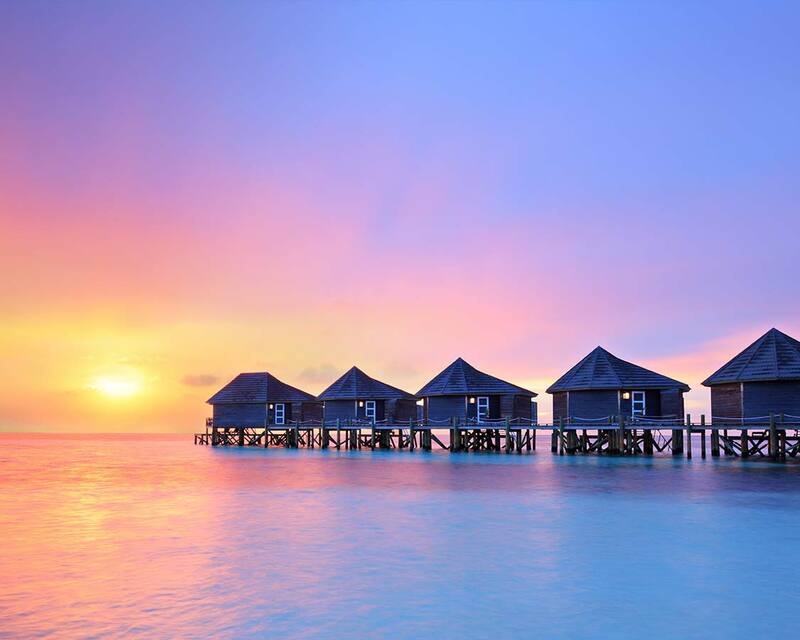 With a huge emphasis on luxury resorts, the Maldives is one of the best places in the world to get pampered. Many of the private island resorts have luxurious spas that will leave you begging for more. One of the main reasons people vacation in the Maldives is that it has some of the best beaches in the world. Many of the beaches in the Maldives have white sand and crystal-clear turquoise water. But when planning your ultimate destination here are a few of the best Maldives beaches to consider. The Maldives is a stringently Muslim country, and as such, most public areas have a modest dress code in effect for both men and women. The aptly named “Maldives Bikini Beach” is one of the few exceptions. This is where tourists can wear their favorite skimpy swimsuits. Baa Atoll is one of the most beautiful atolls in the Maldives. And Fulhadhoo beach is one of it’s most memorable stretches of sand. But what really pushes it to the forefront is its size. Fulhadhoo Beach is huge, and that means that it’s very easy to find a large patch of sand far from the crowds. 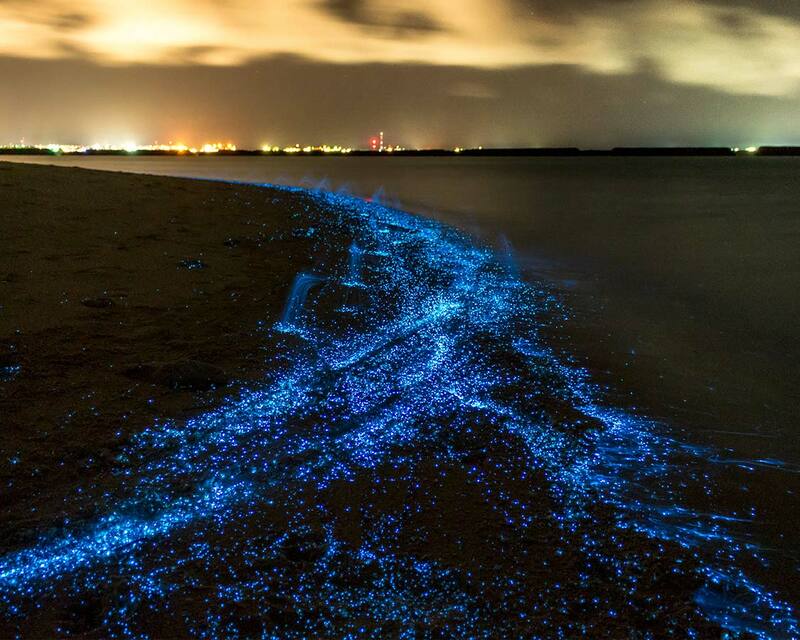 There are a number of beaches in the Maldives that are home to bioluminescent life. At nighttime, when the waters are disturbed by waves or wading feet, these tiny creatures release a beautiful blue glow that makes the experience seem magical. The only beach that remains bioluminescent during the dry season are the Cocoa Island beaches. Not only is Cocoa Island one of the best islands in the Maldives for its bioluminescent beaches, but it is also one of the best islands for enjoying marine life. There are nearly 1,200 islands in the Maldives. Because of this, what you might consider the best island in the Maldives will depend mostly on what you want to get out of your Maldives holiday. 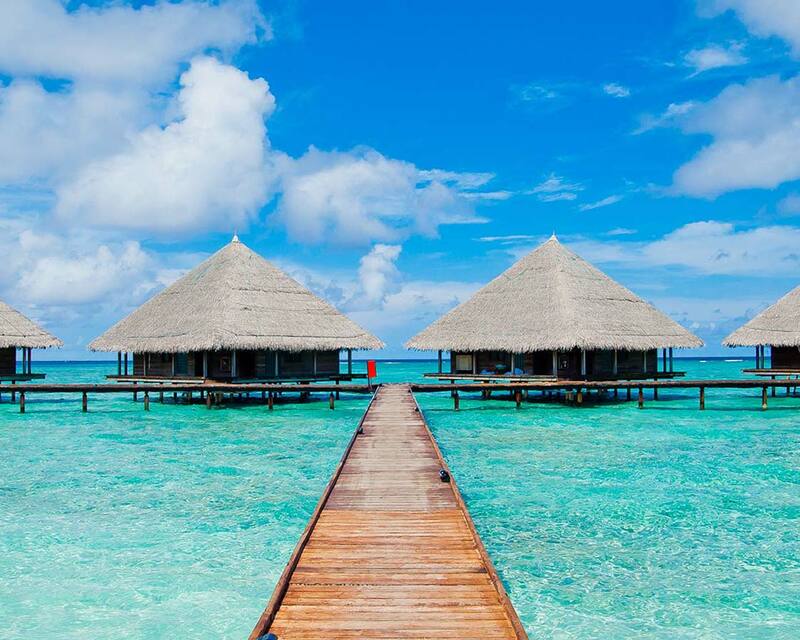 The Maldives are built for luxury travel. So unlike some of my previous posts, I’m not even going to attempt to lay out budget and mid-level accommodations in the Maldives. If you want to check out Maldives on a budget, you might want to read this. But for luxury travelers, these are some of the best resorts in the Maldives. With a focus on snorkeling, SCUBA diving, and marine biology, Lux South Ari Atoll is one of the top resorts in Maldives. Lux South Ari Atoll is on the island of Dhidhoofinolhu also has amazing beaches, overwater bungalows and so much more. You can find great prices on Lux South Ari Atoll on Booking.com here. The Four Seasons Kuda Huraa combines a luxury resort with a traditional Maldivian village style. This layout creates a unique and memorable experience for all visitors. The resort is filled with stunning gardens and beautiful grounds. And as a bonus, it’s located in Male Atoll, so it’s a short transfer from the airport. You can find great prices on Four Seasons Kuda Huraa on Booking.com here or Hotels Combined here. Kurumba is the original Maldives resort, and it improves in its heritage each year. This gorgeous resort island has a secluded lagoon and a spectacular house reef that keeps visitors returning year after year. You can find great prices on Kurumba Maldives on Booking.com here or Hotels Combined here. There’s no other place like Maldives. It’s always worth every dime spent.